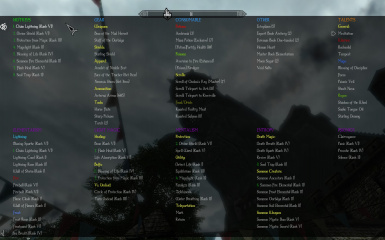 Configuration file for Categorized Favorites Menu for Enderal mod. favmenumodder for Categorized Favorites Menu. This is configuration file for Categorized Favorites Menu for Enderal mod. be in wrong categories. But I think that most of the stuff should be ok.
Or manually download and unpack the file. The file should go into your ...\Skyrim\Data\Interface\ folder. Overwrite the old favoritesmenu.cfg if asked to (you may want to make a backup of your old favoritesmenu.cfg before overwriting it).